The pictures are very weird, but cool. 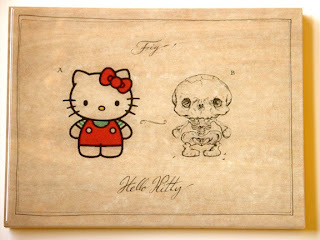 I don't exactly like Hello Kitty, but it's cool to see her skeleton! hello kidys a frek but her selitons cool, mabe i would like helo kiki beter? If you do, make sure to post them on your blog! OMG!!!!!! I luv H.K.!!! The skelly's r cul! I hope I can buy the new book!! They do seem like bathroom paintings. I wonder why.